Linear chromosomes ended by telomeres represent a challenge to prevent unwanted DSB signalling, joining or recombination at their ends. Several results support a major contribution of the duplex telomeric TTAGGG repeats and the associated shelterin proteins to end-joining avoidance at telomeres in humans. In addition, G-quadruplex secundary structures and the T-loop tertiary structure at telomeres may participate in telomere protection. Paradoxically, both Ku and DNA-PKcs components are necessary for telomere stability but also are mainly responsible for telomeres fusion in case of telomere deprotection. 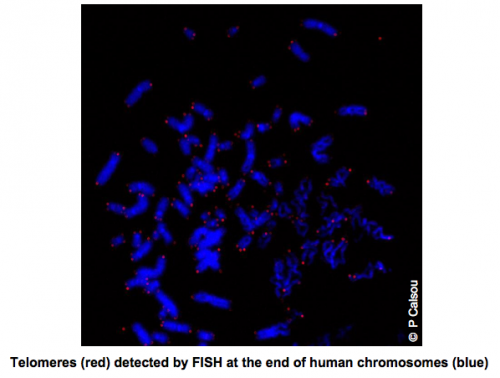 However, spontaneous chromosomal end-fusions are promoted by a deficiency in either Ku or DNA-PKcs. This argues for a role of both C- and B-NHEJ at telomeres. With various cellular and biochemical approaches, our aim is to understand the role of C- and B-NHEJ proteins in the balance between the protection and fusion at telomeres. Beyond the telomeres, our interest for G4-structures also extents to regulatory functions that they may play in mRNA translation. 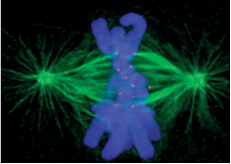 The aim of this project is to better understand the C- and B-NHEJ contribution to repair of DSBs located in highly condensed chromosomal regions such as constitutive chromatin (centromere, telomere) or mitotic chromatin. The consequences of the emergence of DSBs in various chromatin contexts are investigated under both in vivo and in vitro conditions.